I wanted to explore the impact of water politics on women’s lives. With a pre-production grant from Paul Robeson, I traveled to Africa, Latin America, Europe, and North America exploring water stories. I even spent a week at Suez, the big transnational water corporation in France. My explorations ended when I visited Highland Park and discovered that residents of one of the poorest cities in America had these outrageous water bills. Having grown up in Baltimore, Maryland, I felt like this could easily be my home city. That realization forced me to narrow my focus and probe deeper. I was drawn to the incredibly strong women in this community who were approaching the crisis from very different positions. Throughout the film, it was never entirely clear to me why water prices in Highland Park were so much more expensive than average water prices in the rest of the country. Were residents paying for the city’s past missteps and debt? Clarifying this point was a huge challenge in making the film because the answer is not simple. The rate increases exacerbated many other problems in an old water system (leaks, inconsistent billing practices, estimated bills, etc.). So if you had been receiving an estimated bill and paying it on time for several years and then a meter reading was done indicating a leak in the system, you might get a huge bill. In fact, the rate increases were not too far off from other rate increases around the country—it’s a trend. That said, the rate increases were especially significant for Highland Park—in Highland Park, water rates come out to 4.5 percent of a monthly income where as in Lansing, the capitol, they are only .8 percent of a monthly income. What has happened to Highland Park’s water privatization problem since the making of this film? Has anything changed now that a new consultant has been hired? The challenges were many. The situation was complex and trying to do it justice was a challenge. Also, I had very, very little funding to make the film so it took a long time and a lot of favors. The positive side of this is that so many people got involved and helped out and I am incredibly grateful for that. 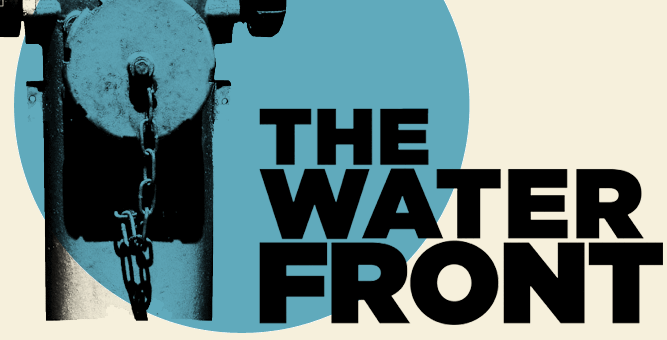 The residents are fighting for water as a basic human right which it certainly is — but it’s also a precious resource. The film points out that in five years, water will be as valuable as gold. But if it’s in short supply, shouldn’t it be priced accordingly? Just as the argument for pricing gasoline high to keep its use in check? chose to drive a car or not but you really can not chose to go without water. In conducting your interviews for the film, you were so balanced, I had a hard time at first figuring out which side you were on: The (overpaid) officials trying to resolve Highland Park’s problems, or the citizens who were fighting for their right for affordable water. You obviously filmed this over time, as the story developed. Did your allegiances vacillate during the course of filming? My perspective did change again and again as I learned more information and spent time in this community. What never changed for me was a commitment to respect everyone who had agreed to share their perspective with me and to try to present the problems playing out in this community as structural and not simply individual. What was your impression of the emergency financial manager/consultant who is brought in? Ramona Pearson is a dynamic and competent woman in a very complicated situation. In addition to working as the emergency financial manager, she continued to work as a corporate accountant. So she really had her hands full, which is why she hired a consulting team to help out. What I witnessed over time was an increasing communication gap between her team, the residents, and the workers. In the end, the high-paid officials are booted out, but what is the solution to proper water management? How can the community bring more revenue in /pay for its water treatment? solution presented by the citizen group in Highland Park is a Water Affordability Plan which ensures that everyone pays for water but that no one is outpriced. Throughout the film we see water flowing freely from water spigots, sprinklers, fire hydrants, car washes. How can we make water available but teach conservation at the same time? This is precisely the challenge we must explore together – no solution to the global water crisis will work unless it combines conservation and justice. And while we may need to establish regulations around water use, if the regulations come from citizens themselves with explanations and open discussion they are more likely to be respected.